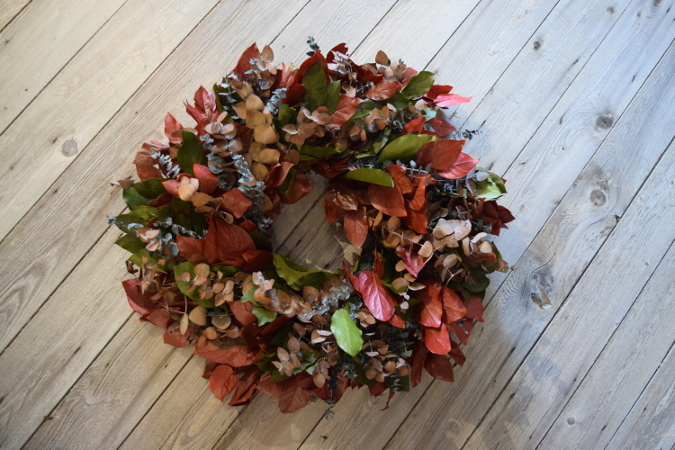 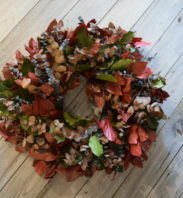 Our beautiful assortment of Everyday Wreaths will brighten any door or wall. 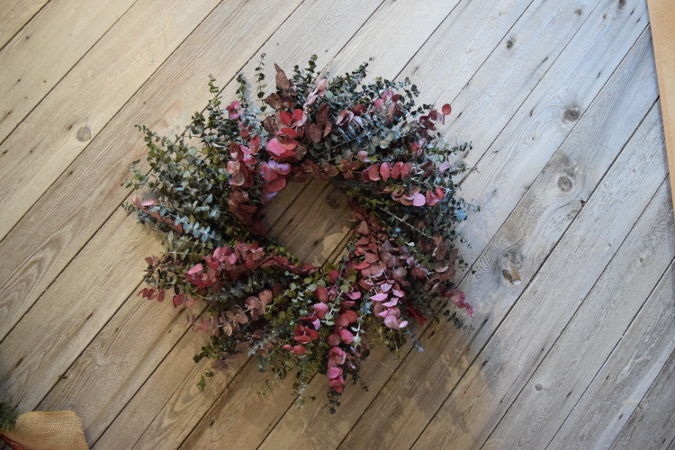 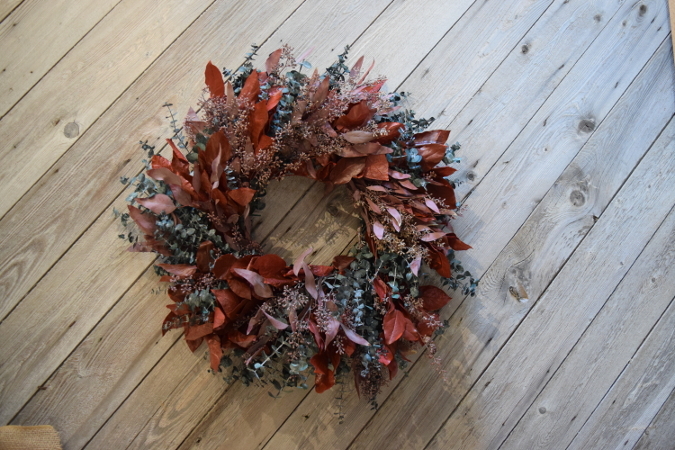 Made with eucalyptus, the wreaths can be special ordered to fit any home with a variety of color choices. 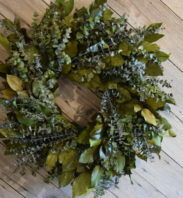 Eucalyptus aroma therapy opens the respiratory track, helps with colds, flu, bronchitis, sinus problems, asthma, and insomnia. 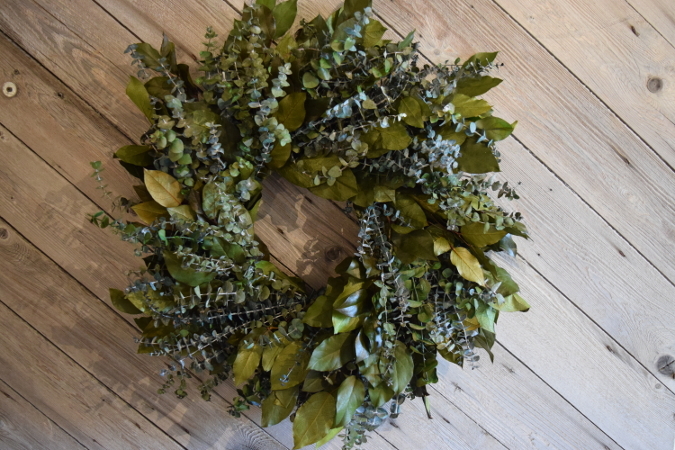 The scent of eucalyptus is particularly effective for stress, leaving you relaxed and making a eucalyptus wreath the perfect decoration for your home. 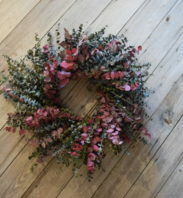 Occasionally mist with water to retain scent. 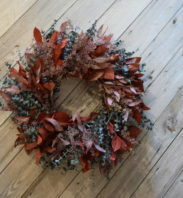 Call today for special orders.